His Excellency Ethimios Mitropoulos has been since 2003 the seventh Secretary-General of the International Maritime Organization. Born in Piraeus, into a thoroughly maritime family, he entered the Aspropyrgos Merchant Marine Academy in 1957 and the following year was appointed Captain of the Academy. He graduated with honours in 1959 as chief of his class. Between 1959 and 1962, he served as apprentice, second and chief deck officer onmerchant ships and, in 1962, entered the Hellenic Coast Guard Academy as chief of his class, graduating with honours. He became a commissioned Coast Guard officer in Corfu, and later in Piraeus, retiring with the rank of Rear Admiral. He continued his studies at every opportunity, including the gaining in 1965 of a scholarship to study shipping economics in Italy. In 1970 he was selected to study marine technology (fire protection and life-saving appliances) in the UK with Lloyd's Register of Shipping. Christina Anagnostara has been Chief Financial Officer of Seanergy Maritime Holdings since November 2008, before which she had a similar responsibility at Global Oceanic Carriers. Nasdaq-listed Seanergy is a Marshall Islands corporation with its executive offices in Athens and controlling a fleet of some 20 dry bulk carriers, ranging from capesize to handysize, with total capacity of nearly 1.3m dwt. While at Global Oceanic Carriers, she helped implement a corporate restructuring which led to dramatically improved performance and efficiency, enabling the company to recover from the downturn in the dry bulk market. Between 1999 and 2006, she was a senior manager at EFG Audit & Consulting Services, the auditors of the Geneva-based EFG Group, an international banking group specialising in global private banking and asset management. She had worked from 1998 to 1999 in the internal audit group of Eurobank EFG, a bank with a leading position in Greece; and between 1995 and 1998 as a senior auditor in Ernst & Young. 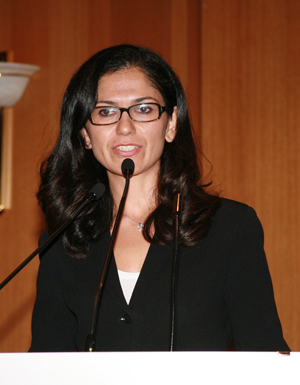 Ms Anagnostara studied economics in Athens and has been a certified chartered accountant since 2002. Ilias G Bissias focuses on communication strategies, maritime political history and international shipping law and policy, at the Department of Shipping, Trade and Transport of the University of the Aegean. His doctoral research examines the public image of shipping and the role of the media in Greece. He is an attorney-at-law, member of the Athens Bar, and Director of the Greek shipping magazine, Naftika Chronika. His publishing company has a long standing co-operation with the Hellenic Chamber of Shipping: Mr. Bissias is the principal contractor and co-ordinator of important marketing activities in promoting the seafaring profession in Greece. He has extensive experience in crisis management and media relations through his work as a press officer of leading companies. He is the communications officer of Tomasos Bros Inc, a Greek shipping company with over 100 years of maritime history and tradition. Since 2008 he has supported the preparation, teaching and supervision of postgraduate courses on international maritime policy and corporate communications, at the University of the Aegean. He holds an LL.B and Master's Degree in Law from the University of London. Michael Bodouroglou, the founder and Chief Executive of Paragon Shipping, a Bronze Sponsor of the WISTA International 2010 Conference, has owned and operated tanker and dry bulk vessels since 1993. He is the founder of Allseas Marine Inc, the technical and commercial managing company for the Paragon fleet. Prior to 1993, Mr Bodouroglou was a technical superintendent supervising tanker and dry bulk vessels for various shipping companies. He graduated with honours from the University of Newcastle-upon-Tyne in 1977 with a Bachelor of Science in Marine Engineering, and the following year was awarded a Master of Science degree in Naval Architecture. He has been involved in the shipping industry for more than 25 years, and has led Paragon Shipping since the company was founded in June 2006. A Marshall Islands registered company, Paragon Shipping has executive offices in Voula, Athens. It listed on the Nasdaq exchange in August 2007, transferring recently to the New York Stock Exchange. Mr Bodouroglou is a member of the Cayman Islands Shipowners' Advisory Council and of the Board of Academic Entrepreneurship of the Free University of Varna, Bulgaria. He is a member of the Hellas Committee of the classification society GL (Germanischer Lloyd) and RINA (Registro Italiano Navale). 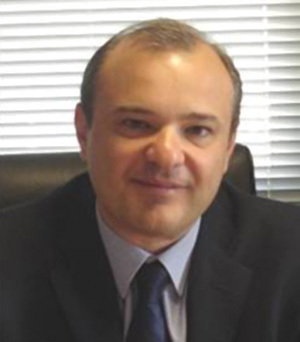 Vasili Chakos, of V Chakos & Co Marine Claims Adjusters & Consultants, has been a marine claims adjuster, a P&I claims executive and a marine insurance broker for the past 25 years in London and Piraeus. Mr Chakos has independently offered his services in marine insurance claims since 2009. He deals primarily with hull and machinery claims but also with P&I matters and freight, demurrage and defence disputes, and provides consultancy to owners and insurance professionals. He has always had a particular interest in war risk claims. Mr Chakos holds among other qualifications a Post-graduate Diploma in Port and Shipping Administration, a Master of Science degree in Marine Law and Policy from the University of Wales and a Master of Arts degree in International Relations from the University of Indianapolis. He is an Associate of the Chartered Insurance Institute and a Fellow of the Institute of Chartered Shipbrokers. He began his career with Richards Hogg Average Adjusters in London and continued for several years in the firm’s Piraeus office. Subsequently, he joined the Heath Lambert Group in Piraeus before moving to the West of England P&I Club. He has lectured extensively on subjects related to the carriage of goods by sea and marine insurance, and has presented papers on international relations in the Balkans and the southeastern Mediterranean. 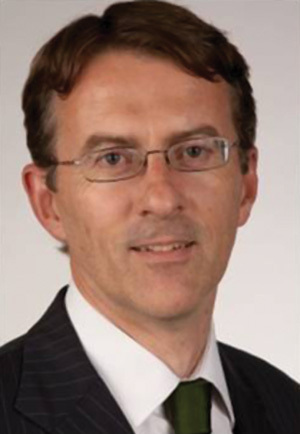 Michael Dicks is Chief Economist of Barclays Wealth, a Bronze Sponsor of our Conference. The company, the wealth management division of global financial services provider Barclays, has total client assets of £153.5bn, as of June 2010. With offices in over 20 countries, Barclays Wealth focuses on private and intermediary clients, providing international and private banking, investment management, fiduciary services and brokerage. Mr Dicks assumed his current post on joining the company in mid-2007. He runs a 40-strong research team that analyses and forecasts global economic developments, using the output to help devise investment strategies, both in the form of top-down strategic and tactical asset allocation recommendations and bottomup investment ideas. Mr Dicks assumed his current post on joining the company in mid-2007. He runs a 40-strong research team that analyses and forecasts global economic developments, using the output to help devise investment strategies, both in the form of top-down strategic and tactical asset allocation recommendations and bottomup investment ideas. Prior to joining Barclays Wealth, he was Chief European Economist at Lehman Brothers, are earlier worked in both the Economics and Fixed Income Research departments of JP Morgan – covering both emerging markets and developed markets – and for eight years as an economist at the Bank of England. Over his last three years at Lehman Brothers, he came top of Institutional Investor’s annual European Fixed Income Research poll in the Economics category. Senior Vice President — Legal Risk Management. Navios Maritime Holdings Inc.
Anna Kalathakis has been Senior Vice President - Legal Risk Management of Navios Maritime Holdings Inc. since December, 2005. 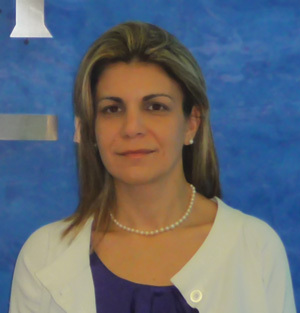 Ms. Kalathakis is also a member of the Board of Directors of Navios Maritime Acquisition Corporation since May 2010. Before joining Navios, Ms. Kalathakis was the General Manager of the Greek office of A Bilbrough & Co Ltd (Managers of the London Steam-Ship Owners' Mutual Insurance Association Limited, the 'London P&I Club') and an Associate Director of the London P&I Club where she gained experience in the handling of liability and contractual disputes both in the dry and tanker shipping sectors (including collisions, oil pollution incidents, groundings etc). She previously worked for a US maritime law firm in New Orleans, having qualified as a lawyer in Louisiana in 1995, and also in a similar capacity for a London maritime law firm. She qualified as a solicitor in England and Wales in 1999 and was admitted to the Piraeus Bar, Greece, in 2003. She has studied International Relations in Georgetown University, Washington DC (1991). She holds an MBA from European University in Brussels (1992) and a Juris Doctor degree from Tulane Law School (1995). 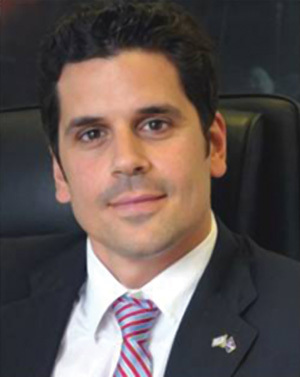 George D Gourdomichalis is President and Managing Director of G Bros Maritime SA. Born in London, he attended Athens College and graduated from the University of Massachusetts at Amherst with a BA in international economics and a BA in political science. This was supplemented by his work for an MSc in Ocean Marine Transportation Management at the Maritime Academy of the State of New York. In 1989 he joined Republic National Bank of New York as a management trainee and three years later moved to SS Maritime Inc. of New York, where he worked as a chartering and sale and purchase broker and was responsible for commercial management of Baltmed Shipping Co. In 1996 he returned to Greece, and with his brother Stathis founded Gourdomichalis Naftiki Eteria SA, commencing independent operations from the family’s established business. In 2000 he co-founded Free Ships SA and in 2003 co-founded Free Bulkers SA, both ship management firms. These activities were consolidated and in 2005 successfully merged, resulting in the public listing of FreeSeas Inc on the Nasdaq Exchange. Their shareholding was sold in January 2007 and George and his brother Stathis manage and operate their ocean going shipping interests from their ship management firm G Bros Maritime SA, located in Piraeus. 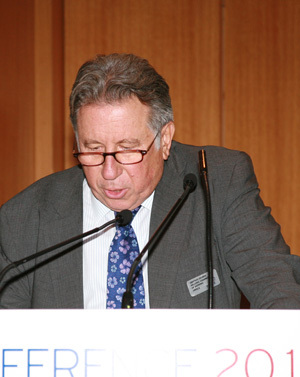 Mr Gourdomichalis was recently elected President of the Board of Directors of the Piraeus Marine Club. He serves on the RINA Hellenic Committee, the Korean Register of Shipping Hellenic Committee, the Board of Directors of the American P&I Club and the Industry Advisory Board of the North American Merchant Ministries Association. Jeanne Grasso is a partner at Blank Rome LLP, focusing on maritime and environmental law for domestic and international clients. She regularly counsels owners and operators of all types of vessels, cargo owners, and facilities, both marine-side and inland. Her practice involves internal and grand jury investigations; defence of administrative, civil, and criminal enforcement actions; pollution incident response; port-state control matters; and regulatory compliance counselling related to Coast Guard, Maritime Administration, Customs and other matters. She heads the maritime industry team at Blank Rome, and is guest lecturer at the Massachusetts Maritime Academy, where she speaks on legal issues related to pollution response for the Academy's Qualified Individual training programme. She is on the Board of Governors of the Propeller Club of Washington DC and the Advisory Board of the Smithsonian Environmental Research Center. Prior to joining Blank Rome, Jeanne worked in the Office of Congressional Affairs at the National Oceanic and Atmospheric Administration. Jeanne writes and lectures extensively on criminal enforcement of environmental laws, Coast Guard regulatory matters, and maritime security. 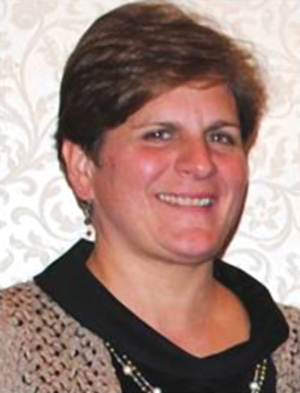 As president of WISTA USA, Jeanne has inspired its development and expansion, overseeing the establishment of several new chapters during her tenure. 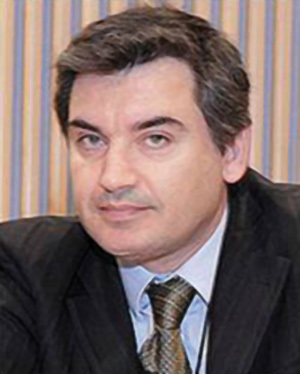 George A. Gratsos is President of the Hellenic Chamber of Shipping, on the Board of Directors of the Union of Greek Shipowners and alternate Chairman of the Maritime Safety and Maritime Environment Protection Committee of the UGS, member of the board of the UK FREIGHT DEMMURAGE AND DEFENCE ASSOCIATION LTD LONDON and HELMEPA. He is a Member of ABS, member of the Hellenic Committee of ABS, the Hellenic Committee of DNV, the Hellenic Technical Committee of LRS, past Vice-President, member of the Executive Committee and on the Board of Directors of BIMCO and on the Board of Directors of the (Hellenic) Tourist Development Company. Mr. Gratsos is a third generation shipowner, President of STANDARD BULK TRANSPORT CORPORATION, operating Panamax bulk carriers, and ELASIS (a real estate and construction company). He is a Naval Architect with a BSc from MIT. 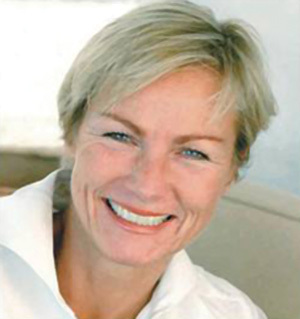 Elisabeth Grieg, Chief Executive of Grieg International, has had an international career in shipping and banking. She chairs the family-owned Grieg Shipping Group, which in addition to ship owning and ship broking, is engaged in global logistic services, maritime information systems, investment consulting, offshore windmills and fish farming. The Grieg Group has about 1,300 employees. WISTA International chose Mrs Grieg as its first Personality of the Year, when the award was launched in 2006 during the WISTA Singapore conference. She is on the board of Statoil ASA and has served on the boards of several other corporations over the years. In 2008 she was elected the first woman President of the Norwegian Shipowners’ Association. She is noted for her strong social commitment through her work for the Grieg Foundation, which owns 25% of the Grieg Group companies and is guaranteed a dividend to use for the benefit of society, especially for what is known as SOS Children Villages and an SOS College in Costa Rica, and projects to support children in Norway, music, medical and humanitarian works. 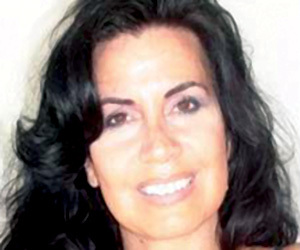 Dorothea Ioannou is General Manager of Shipowners Claims Bureau (Hellas) Inc, which for the past five years has been the Piraeus-based claims liaison office for Shipowners Claims Bureau, Inc, manager of the American Steamship Owners Mutual Protection and Indemnity Association (the American Club). She has been a key member of SCB Hellas from the beginning, and has headed the office since December 2009. As General Manager, she is responsible for day to day operations of the office and manages all P&I and freight, demurrage and defence claims services provided for the American Club’s membership throughout Greece, Turkey, Italy, Cyprus and the Mediterranean region. She has handled countless matters involving traditional P&I claims such as personal injury, illness and death claims, collisions, wreck removals, cargo claims, and complex FD&D disputes involving charter parties, shipbuilding contracts, ship sales and other maritime agreements. Previously, Ms Ioannou was Claims Manager and General Counsel at Allied Insurance Brokers Inc from 1998. She directed the management of marine insurance claims on behalf of Greek shipowner clients, including P&I, FD&D, hull and machinery, loss of hire and strike covers. She began her professional career in New York City in 1990 in medical insurance management. Her legal career initially involved a wide range of civil matters. After relocating to Greece in 1997, she joined a Greek law firm in Athens and shortly thereafter began her career in maritime law after joining a local Piraeus law firm. 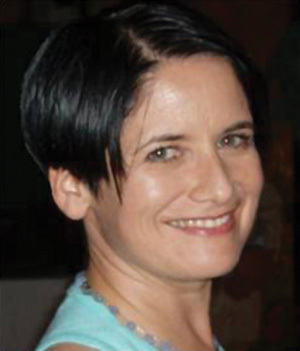 Ms Ioannou received her Bachelor of Arts degree at City University of New York in 1993. She earned her Juris Doctor degree from St. John's University of New York in 1996, and is a member of the Bar of the State of New York. Professor Yoriko Ishida is an expert on intercultural and gender questions, taking a particular interest in these subjects from the standpoint of the maritime environment and of the world of literature. She is Professor at the Oshima National College of Maritime Technology, Japan. Born in Osaka, Professor Ishida majored in English and American Literature for her Bachelor of Arts at Tezukayama Gakuin University, prior to which she majored in the same fields at Osaka Women’s University. A Doctorate of Philosophy followed, at Nara Women’s University. After lecturing part-time at several Japanese universities, Ms Ishida in 2003 became an associate professor in the General Education Division of Oshima National College of Maritime Technology, since 2005 teaching English, inter-cultural studies, gender studies, and maritime history. She is a prolific author, most recently writing in English a treatise entitled Modern and Postmodern Narratives of Race, Gender, and Identity: The Descendants of Thomas Jefferson and Sally Hemings. This was published in New York in 2010 by Peter Lang Publishing. She has contributed to, and had sole authorship of, a number of books in Japanese on American and African American literature, folklore and culture. Her recent articles in Japanese include Acceptance and Significance of Feminisation of Seafarers: Considering Female Education in Maritime Colleges in Japan, for the Journal of Education in the Colleges of Technology; and Social Acceptance and Significance ofWomen Seafarers: For DevelopingWomen Seafarers in the Shipping World, in the Journal of Japan Captains’ Association. Marie Kelly is a dispute resolution lawyer based in the Athens office of Norton Rose, heading the dispute resolution practice. A barrister in London before she came to Norton Rose, she has always had a broad base to her practice. Since coming to Greece she has specialised in shipping litigation and shipping contracts, including shipbuilding contracts. She also has much experience in commercial litigation in the High Court and in international arbitration on non-shipping matters such as licensing and distribution agreements and multinational disputes arising out of share sale agreements. Ms Kelly has been involved in a wide range of disputes in arbitration and in the English High Court. Her experience includes charter party and MoA disputes, shipbuilding disputes and drafting dry-docking contracts, non-standard charters and conversion contracts. Marie is a qualified mediator and has presented papers on topics including court supervision of arbitrators, the Forward Freight Agreement markets, bunker contracts, bunker quality disputes, refund guarantees, oil major approvals clauses, enforcement of security, negotiating shipbuilding contracts, and cancellation of shipbuilding contracts. Tom Kennedy is a Naval Architect graduating from Newcastle University in early 1970's. He has a very wide experience in Marine field worldwide, working in many countries in Far East, Middle East and Europe. Since the late 1970's his career has held various senior positions with Protective and Marine Coatings companies in General, Regional, Area Management, Business Development, Industrial Management, Project Management Liaison, Marketing and Technical aspects in countries worldwide. In 2009 Tom joined Optimarin AS of Norway, and was appointed Business Development Manager for areas BENELUX, Spain, Portugal, Greece, Cyprus, Middle East and India. 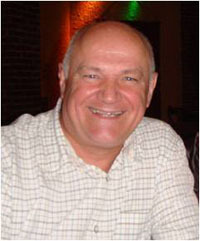 Nigel Lowry, based in Athens, is immensely respected for his knowledge of Greek and worldwide shipping. He has been a journalist for 25 years and has specialised in the shipping industry for most of his career. 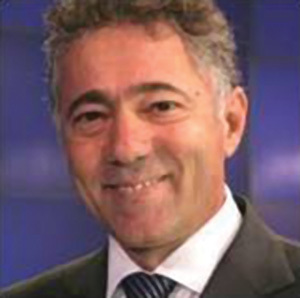 Since 1991 he has been the Athens correspondent for Lloyd’s List, the daily maritime newspaper and information provider. Other posts he has held include periods as editor of the Greek Business Review, deputy editor of Naftiliaki magazine and Newsfront, the Greek Shipping Intelligence newsletter, and consulting editor of The Athenian magazine, for which he also served as business editor. 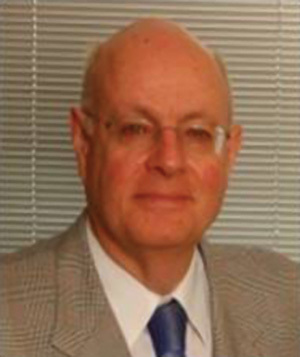 His articles have appeared in other publications including The European Times, The Guardian, Financial Times, Media International, and Kathimerini and numerous shipping and business periodicals including Lloyd’s Shipping Economist, the International Transport Journal (Switzerland), and Lloyd Anversois/De Lloyd (Belgium). He is fascinated by the history of Greek shipping, and wrote the book Onassis and his Legacy, published by the Onassis Foundation in 2003, reprinted from a serialisation in Lloyd’s List. Mr Lowry has been event director of Lloyd’s List’s Greek Shipping Awards since its launch in 2004, and annually he has been the only non-Greek serving on the industry panel adjudicating the awards. He is also director of the Greek Shipping Hall of Fame. Kalliope (Popi) Lyrintzi is Founder and Managing Director of K. C. LYRINTZIS Group of Companies, a premier technical, management and maritime training consultancy firm, based in Piraeus, Greece. She is responsible for developing the areas of engineering, ship surveys, financing, consultancy and statutory and continuous education training in line with IMO, STCW and ISO requirements. Working in close association with a team of consultants, university professors and financial professionals, Christou Associates SA, QMS SA and QMS Maritime Training Ltd have become a premier service organisation to the Greek shipping market, which consists of well over 800 companies, and to the international shipping community. 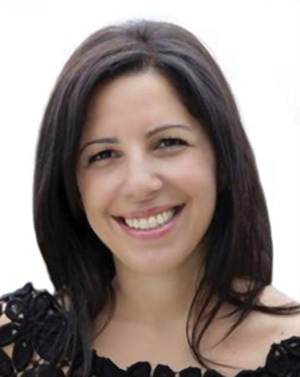 Earlier in her career, Ms Lyrintzis was Marketing Manager in Greece with Wescol Group of the UK and Piraeus, a group including Wescombe, Lambert Brothers, Lavino Shipping and Cleaves. Prior to that, she was Executive Vice-President for Astral Maritime Enterprises NE of Piraeus, which saw her involved in developing shipbuilding contracts in Greece. She had earlier been Technical Director at Hellenic General Enterprises Perama Shipyard, Greece; and naval architect at Argo Shipyard, Salamis, Greece. 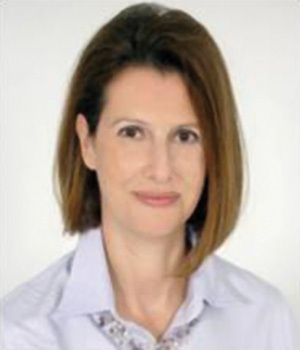 Ms Lyrintzis is a member of WISTA Hellas, and her many affiliations include membership of the Royal Institute of Naval Architects; the Institute of Marine Technology, Piraeus; the Propeller Club of Piraeus; the Society of Naval Architects & Marine Engineers; and Athens Business Club. She is Honorary Treasurer for the Joint Branch RINA-IMAREST. Anthi Miliou joined Lloyd’s Register Piraeus in 2004. Her first role focused on the development of Lloyd’s Register FOBAS service in Piraeus and the Eastern Mediterranean Area providing technical advice on marine fuel related matters with respect to vessels’ machinery systems and delivering several client seminars on environmental legislation and marine fuel aspects. Building upon this role, Anthi became increasingly involved in other product related activities and business facets through the Piraeus Marine Business team until she was appointed to the position of Marine Consultancy Products & Services Manager – Greece in 2009. Since then she is responsible for the management of Marine Products and Services under the consultancy umbrella in Greece. Anthi and her team work closely together with the Greek shipping industry providing solutions and advice on a spectrum of environmental, fuels and emissions matters. Having completed her undergraduate studies in Mechanical Engineering at Princeton University, USA, Anthi obtained an M.Sc. in Marine Engineering from University College London and a Ph.D. in Computational Fluid Dynamics from Imperial College London. She is the author of a number of scientific papers that were published in refereed academic journals and conference proceedings. Anthi is a member of WISTA-Hellas. Professor Nikitas Nikitakos is Professor of Shipping Informatics and Communications and Head of the Department of Shipping Trade and Transport at the University of the Aegean, Chios. He is a graduate of the Hellenic Naval Academy and holds a BSc in Economics (University of Piraeus 1986) and an MSc in Electrical. Engineering and an MSc in Applied Mathematics from the Naval Postgraduate School, Monterey, California. He spent 25 years as a Naval Officer (Captain Hellenic Navy retired) and participated in several NATO and EU committees. 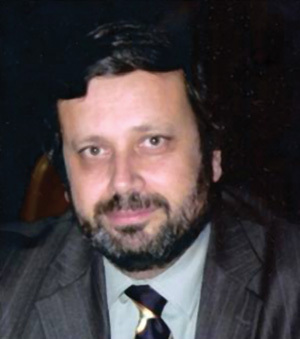 He received a PhD in Electrical and Computer Engineering from the National Technical University of Athens in 1996. He has participated mainly as co-ordinator/principal researcher in several European and defence related research projects. He was President of the Association of Maritime Managers Information Technology Electronics and Communication from 2006-2010, and is President of the Aegean Institute of the Law of the Sea and Maritime Law in Rhodes. He holds three international patents on renewable energies at sea and he received a Lloyd’s List Award for Maritime Technological Innovation in 2006. 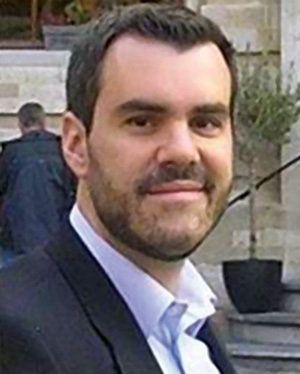 Dr Thanos Pallis is Assistant Professor at the Department of Shipping, Trade and Transport, of the University of the Aegean, and the holder of a Jean Monnet grant on European Port Policy since 2003 and which was renewed in 2008. In 2008-9 he was a Fulbright Scholar at the Centre for Energy, Marine Transportation and Public Policy, Columbia University, New York. He also holds an Adjunct Professor post at the Centre for International Trade and Transportation, Dalhousie University, Halifax, Canada since 2007, and lectures at the University of Antwerp, ITMMA. Dr Pallis led research on port concessions that won the Maritime Economics & Logistics Best Paper Award, 2008. He earlier won the Best European Study 1999 Competition, organised by the European Community Studies Association. Highlights of 2008 also include invitations by the OECD and European Sea Port Organisation to participate and chair discussions on the shaping of the port sector, and his participation in the research team advising the Government of Canada on port performance and benchmarks. 2007 saw the publication of his Maritime Transport: The Greek Paradigm, by Elsevier, in the distinguished Research in Transport Economics series. Previously published books or monographs examine European Port Policy and The Common EU Maritime Transport Policy. Elected Member of the Council of the International Association of Maritime Economists since 2008 and Secretary General of the Hellenic Association of Maritime Economists since 2006, he is also a leading member of the Port Performance Research Network, and active member of the Special Interest Group Ports & Maritime Transport, World Transport Research Society, the University Association for Contemporary European Studies and the European Level Interests Representation Group. 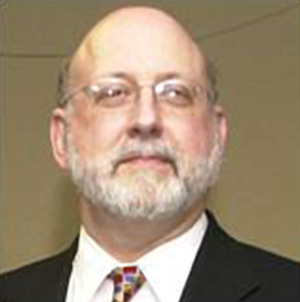 John Palmisano is Commercial Director of Carbon Positive, Gold Sponsor of the WISTA 2010 International Conference. Mr Palmisano is one of the pioneers of emissions trading. He has more than 25 years of experience in environmental trading; creating and implementing environmental policies; and developing consulting and transactional businesses. Since 1977, he has advised governments, industry and trade associations on how to benefit from environmental trading related to greenhouse gases, SOx, NOx and volatile organic compounds. After developing environmental trading programmes for the US Environmental Protection Agency, he created the first emissions brokerage business in 1982. He helped found three non-governmental organisations that promote greenhouse gas trading -in Russia, Ukraine and Germany. He has been a consultant to many key US and international bodies including the World Bank, and the Russian, Ukrainian and Canadian governments. At Carbon Positive, his focus is greenhouse gas emissions management in shipping and forestry. Mr Papachristidis-Bove is the Managing Director of Hellespont Steamship Corporation and of Seatramp Tankers Inc, which provide technical and commercial management services to Hellespont Group vessels, and to unrelated third parties. Among the group’s many facilities is Manila Shipmanagement & Manning Inc, a Manila-based manning agency which provides the seafaring personnel for all Hellespont vessels and for those of close owner friends, and is 25% owned 25% by Hellespont Steamship. 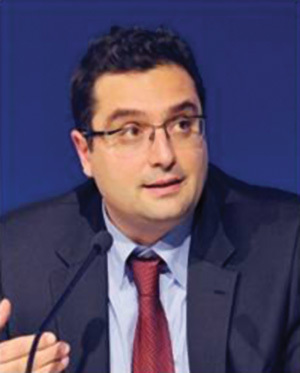 Alexander Papachristidis-Bove is also Chief Executive and President of Pan-Regional Marine Transportation Corporation, which focuses on owning and operating high specification tankers in the sub-10,000 dwt sector. Currently the company has three such tankers trading in the Caribbean markets for a wide range of oil major clients. Apart from the day to day running of the companies, Mr Papachristidis-Bove oversees chartering and sale and purchase activities. He has a Masters in Business Administration from the Anderson Graduate School of Management at University of California, Los Angeles (UCLA) and a Bachelors of Arts in Economics from McGill University in Montreal, whence he originates. 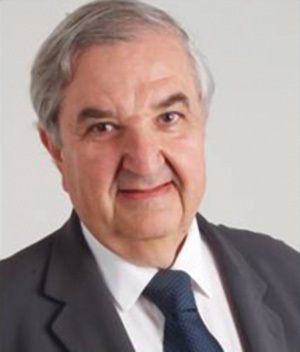 Mr. Theodore (Ted) Petropoulos is Petrofin's founder and head of Petrofin Research. Mr. Petropoulos is an ex International Banker and has been a financial advisor since 1986, with particular emphasis on shipping, project finance and banking advice. He started his career in the family shipping business in London in the early 1970s. He joined the First National Bank of Chicago (FNBC), London, in 1975 and became an Assistant Vice President in 1980. He served as Head of FNBC's Piraeus Branch in 1979 and stayed in Greece until 1982 when he joined ABN Bank, London Branch, in 1982 and worked as the Head of Transportation, Energy and Project Finance until early 1985. In 1985 he became General Manager of the London branch of a Swiss Bank and in 1989 he founded Petrofin S.A., an international shipping financial, advisory and research company.Mr. Petropoulos has also been in ship-owning and ship-management since 1998. He founded Petrobulk Maritime Inc in 1998, which until 2007 had managed 13 dry bulk vessels. Petrofin Ship Management Inc, (PSMI), was founded in 2005, and currently manages a modern 5-vessel fleet of handymaxes / supramaxes. Mr. Petropoulos has a B.Sc. Economics Honours Degree from the London School of Economics, a Master in Business Administration Degree from the Manchester Business School, as well as numerous additional academic distinctions. Additionally, he has been a guest lecturer at UK and Greek Universities and a speaker at International and Greek conferences and a contributor of articles to numerous international magazines and publications for over 25 years. He is an acknowledged expert in the world of shipping finance. Mr Apostolos Poulovassilis is Regional Marine Manager, for Europe, Middle East and Africa for Lloyd’s Register, which he joined in the UK in 1989. He worked as a marine surveyor in various key locations until 1996, when he became responsible for the development of Lloyd's Register's management systems business in Greece. He has also been responsible for development and management of the International Safety Management centre in Piraeus. 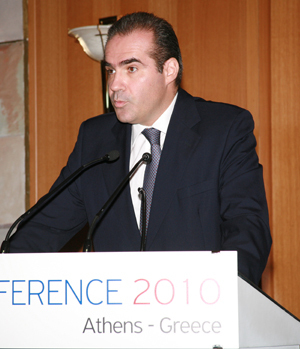 In 2003 Mr Poulovassilis was appointed Area Manager for Lloyd’s Register’s operations based in Piraeus, with full responsibility for operations, service delivery and business development in the area, a position he still holds, and in 2007 he also became Managing Director of Hellenic Lloyd’s SA. Later he was designated Regional Marine Manager for Europe, Middle East and Africa. Mr Poulovassilis obtained a BEng from Imperial College of Science and Technology in London, and an MSc in marine engineering from University College London. He spent two years in the Hellenic Navy working for the Naval Detachment at Elefsis Shipyards. 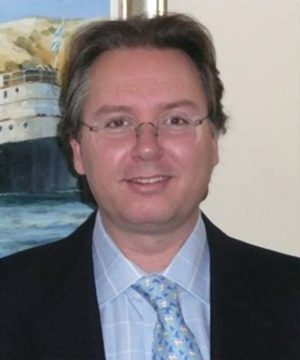 Dr Ing Orestis Schinas is Professor of Shipping and Ship Finance at the Department of Maritime and Logistics of the Hamburg School of Business Administration. He holds the title of Dipl-Eng in Naval Architecture and Marine Engineering from the National Technical University of Athens, from where he was subsequently awarded a doctoral degree (Dr-Eng) in Maritime Economics, and has an MSc degree in Shipping Management from the World Maritime University in Sweden. Most were focused on transport economics, logistics, telematics (e-brokerage, e-learning, ecommerce) and management. In addition to his academic endeavours, Dr Schinas has served as a chief executive of a major public organisation, participated actively in the initial public offerings of the Port of Piraeus and of the Agricultural Bank and other large corporate projects, and worked in a shipmanagement company and as a surveyor and technical expert in Piraeus and elsewhere, as he was involved in newbuilding and maintenance and repair projects in his early career. He has lent his services as external expert of the IMO to various Administrations, and to the European Commission as transport finance expert. 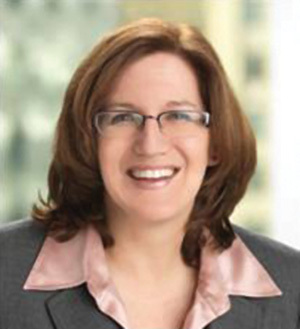 Jennifer Schlueter, Vice President for Corporate Communications and Investor Relations at Overseas Shipholding Group, a Dow Jones Transportation Index company, has more than 15 years of experience in investor relations, financial communications, corporate communications and change management. Since joining OSG nearly five years ago, she has expanded the company’s external and internal communications platform, which today is described as a robust, global programme that serves a diverse audience. Working in a consulting capacity prior to joining the firm, she re-launched the company’s website with new content and design, and substantially improved transparency. Upon joining OSG, she deployed a foundational media relations programme that enhanced the company’s brand and position with journalists. She is responsible for the development and deployment of OSG global communication strategies which also include brand management, employee communications, the company's public websites, a quarterly newsletter, crisis communications and executive communications. She was recently asked to improve global communication among the company’s employees and oversee the publication of OSG’s first environmental report. Before joining OSG, Ms Schlueter spent 10 years with Gartner Inc, a global research, consulting and events firm that tracks the information technology industry. She has a Bachelor of Science degree in Finance from Portland State University, has served as Programme Director and Boardmember of theWestchester/Connecticut National Investor Relations Institute chapter, and is Chair of the PR/ Communications Advisory Group of Intertanko. Dr Aleka Mandaraka Sheppard is a lawyer, Professor of Maritime Law, Maritime Arbitrator, Mediator and Risk Management Consultant. She has worked in the commercial and legal sectors of shipping and has over 28 years of experience. 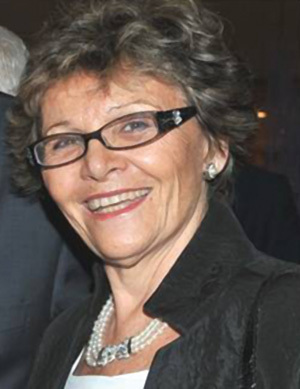 Dr Sheppard practiced litigation and arbitration with Holman Fenwick & Willan and subsequently taught maritime law at University College London where she founded the London Shipping Law Centre (LSLC) for the advancement of learning in shipping law, maritime business and risk management within the industry. Having pioneered the teaching and practice of risk management in shipping, through conducting in-house seminars and consultations, she has raised the awareness among many shipping companies of the importance of risk assessment and implementation. She established ORA-MRM Ltd for consultancy and tailor-made training in shipping companies, applying a multidisciplinary approach to risks and safety systems. Dr Sheppard is the author of Modern Maritime Law and Risk Management and writes extensively on all aspects of maritime law including regulations. Dr Sheppard now devotes most of her time to her arbitration practice, acting in all types of maritime disputes. 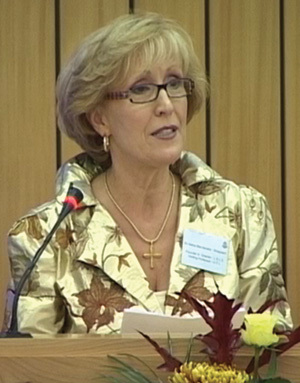 She is the founder and Chairman of the LSLC – Maritime Business Forum – www.shippinglbc.com. Mr Hiroshi Shibako has spent the last two decades as a ship surveyor and auditor for Nippon Kaiji Kyokai, better known as ClassNK, which is a Silver Sponsor for the WISTA International Conference 2010. 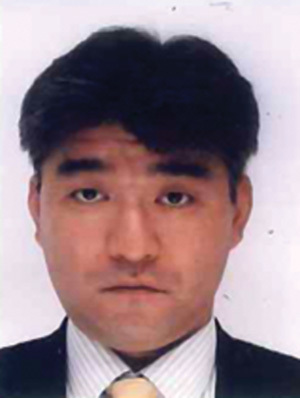 Mr Shibako joined ClassNK shortly after graduating from Kyushu University’s Naval Architecture Course in 1990. Since joining the society, he has taken part in almost every aspect of ship maintenance and safety management, from conducting plan approval in the hull department, to surveying ships in Japan and around the world. In the ClassNK external affairs division, he worked with flag administrations and the International Association of Classification Societies to improve the safety of international shipping. In his current role as Assistant Regional Manager of ClassNK's operations in Europe and Africa, Mr Shibako works with shipowners and operators throughout the region, and is directly involved in the development of new environmentally friendly technologies for the maritime industry. 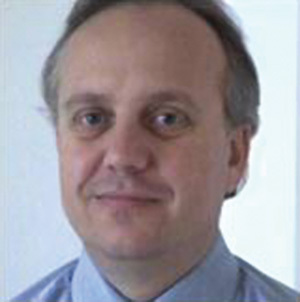 Demetri Stroubakis is Regional Vice President, Europe Division, for the classification society ABS. Based in the Piraeus office, he is in charge of the Eastern Region with responsibility for Greece, Turkey, Croatia, Romania, Black sea, Cyprus and Malta. He joined ABS in February 1992 in Mobile, Alabama, and gained extensive field experience through many survey assignments on existing vessels and new constructions. Among those covered were large naval combatants, complex aluminium construction vessels, fishing vessels, and offshore exploration and service vessels in the United States. In South Korea and Croatia, his survey experience focused on large tanker and bulk carrier construction. Since 2004 Mr Stroubakis has held managerial positions of increasing responsibilities within ABS, including Principal Surveyor in Charge of the Northern Black Sea Region and Executive Assistant to the ABS President and Chief Operating Officer. He graduated with a Bachelor of Science in Marine Engineering from the US Merchant Maritime Academy Kingspoint and holds a Masters in Business Administration from Texas A&M University. He is also a US Coast Guard Licensed Third Assistant Engineer. 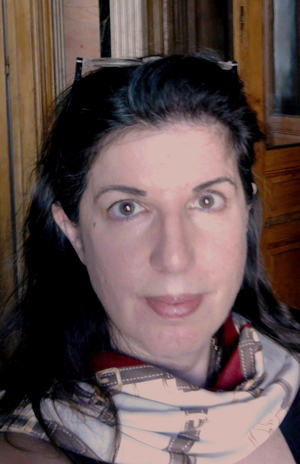 Associate Professor Dr. Helen A. Thanopoulou studied economics at the University of Athens and continued her studies in Paris obtaining a postgraduate degree from Univ.Paris I- Panthéon- Sorbonne. She holds a Doctorate degree in Maritime Studies from the University of Piraeus where she taught for two years until the mid-1990s. She spent the next 8 years in Wales, as Lecturer and later Senior Lecturer at Cardiff University serving also, after 1999, as a Director of shipping related postgraduate courses in the Department of Maritime Studies and later in Cardiff Business School. She returned to Greece in 2004, taking an Assistant Professor’s post at the University of the Aegean, in the Department of Shipping, Trade and Transport on the island of Chios where she currently lives. She has researched and published on shipping related subjects including shipping investment, maritime crises, shipping competitiveness, shipping market forms, maritime innovation, liner alliances and ports and Greek shipping. In 2008, in China, she was elected Council member of the International Association of Maritime Economists (IAME) and served in the Council for the next two years. She is finishing her second term as Council member of the Hellenic Association of Maritime Economists (ENOE). She has been a Guest Editor and member of Editorial Boards, currently of the Journal of Shipping, Trade and Transport, and has taught or has been invited for guest lectures at academic institutions in Greece and abroad. Dimitri G. Vassilacos was born in Athens. He holds an MSc in Mechanical Engineering from the National Technical University of Athens (“Polytechnio”), an MBA from the HEC Grande Ecole in Paris and a Master of Arts in Law and Diplomacy from the Fletcher School in Boston. He joined National Bank of Greece in 1996 and was involved in shipping since 1997. He served in various positions within NBG, including Head of Shipping department in London and General Manager of NBG London from 2001 to 2005. Since April 2005 he is the Manager of NBG’s shipping finance division. 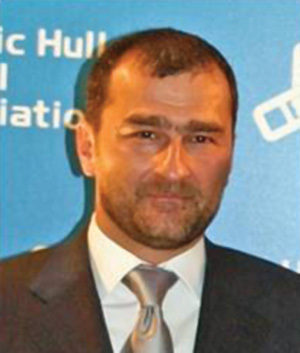 Ilias Tsakiris has since 2005 been Managing Director and Board Director of Hellenic Hull Management Ltd. Hellenic Hull Mutual Association is Diamond Sponsor of our WISTA International 2010 Conference. Mr Tsakiris graduated from Hydra Merchant Marine Academy and Liverpool John Moores University; and holds a BSc in Maritime Studies. His employment history began in 1987 when he joined the fleet of Ceres Hellenic Shipping Enterprises, serving until 1990 in various ranks from apprentice to Second Officer. Mr Tsakiris graduated from Hydra Merchant Marine Academy and Liverpool John Moores University; and holds a BSc in Maritime Studies. His employment history began in 1987 when he joined the fleet of Ceres Hellenic Shipping Enterprises, serving until 1990 in various ranks from apprentice to Second Officer. While in England, Mr Tsakiris took time out of his degree course for training with Thomas Miller & Sons (Syndicate 5) and with marine insurance brokerage Colburn, French & Kneen, and with Associated Marine Adjusters. After obtaining his degree, he joined the last named company in London in 1992. As a result of the merger of Associated Marine Adjusters and Clancey Sons & Stacey, he relocated to the Piraeus office in 1993, where he continued to practice as an average adjuster. In October 1995, he assisted in the setting up of the new venture in Greece of marine insurance brokerage Alexander Howden, and later moved to Hellenic Hull Management. Within Hellenic, Mr Tsakiris started as Claims Manager, and in 2002 he was promoted to be an Associate Director in charge of claims and public affairs. The following year, he became a director with the task of expanding the business of Hellenic. Mr Tsakiris is the founding member and Board Director of Hellenic Hull Insurance Co Ltd of the Isle of Man. He is a Director of the Piraeus Marine Club, a Director of the Alumni of the Marine Academy of Hydra, member of HELMEPA and Annual Subscriber of the Association of Average Adjusters. John Tsatsas who is President of the London Maritime Arbitrators Association,has been Involved in ship management, agency, operations, chartering, sale and purchase and ship finance since 1963. His expertise includes matters relating to tweendeckers, dry bulk carriers, combination carriers and tankers. He is a Fellow of the Institute of Chartered Shipbrokers, Fellow of the Chartered Institute of Arbitrators, Fellow of the Chartered Institute of Logistics & Transport, Fellow of the Chartered Management Institute, and a Full Member and LMAA Arbitrator and Mediator. 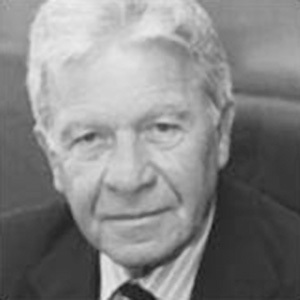 Mr Tsatsas was a Director and Vice-Chairman of J.C.Carras & Sons (Shipbrokers) (1974-1986); Managing Director, Argonaut Agencies (1986-2002); and Director, Argonaut Enterprises (1986-2003). Since 2004, he has been a full-time arbitrator and mediator. He was a Director of the Baltic Exchange from 2001-2003), and again from 2007 to the present. He has been closely involved with BIMCO, at various times as Chairman of the Documentary Committee; Member of BIMCO Board of Directors; and Member of BIMCO Executive Committee. He is a Member of the LMAA Supporting Members Liaison Committee and a Member of HM Admiralty and Commercial Court Users Committee. He is on the panel of arbitrators of the Chartered Institute of Arbitrators, the Korean Commercial Arbitration Board; Hellenic Chamber of Shipping; Singapore Chamber of Maritime Arbitration; Hong Kong International Arbitration Centre; and China Maritime Arbitration Commission. Mr Tsatsas has recently been involved in the establishment by the London Maritime Arbitrators Association in partnership with the Baltic Exchange of a mediation service for shipping and commodity related disputes. George A Tsavliris is a Principal at Tsavliris Salvage Group. Born in London, he graduated from Athens College in 1968 and, having acquired professional qualifications as Fellow of the Institute of Chartered Shipbrokers and Associate of the Chartered Institute of Arbitrators, he concluded his graduate and post graduate studies in shipping law at University College London in 1973, with a Master of Laws degree. He familiarised himself with the shipping and salvage sectors from an early age by being engaged in the family business. 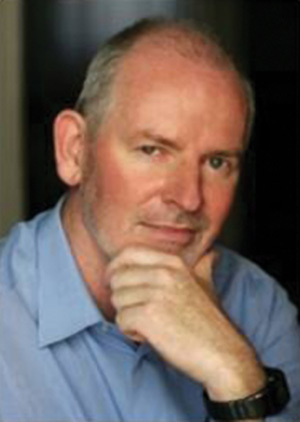 He represents his business on both a commercial and environmental basis internationally. He is President of Cyprus Marine Environmental Protection Association (Cymepa), which received the Cyprus Maritime Prize 2007, Vice-Chairman of Steering Committee of the International Marine Environment Protection Association (Intermepa), and a director of the Cyprus Union of Shipowners. Mr Tsavliris is an avid supporter of charities, an art and music enthusiast and has completed nine London marathons. He has entered the forthcoming 28th Athens Classic Marathon on October 31. Emmanuel Vordonis, Executive Director of Thenamaris Ships Management Inc, joined the company 33 years ago. Today, he is a member of the company’s core governance team, concentrating on continuous improvement of performance of the people, systems and results sides of the business. He is closely involved in the deliberations of the wider maritime industry, and active in civic groups within his local community and internationally. He has particular interest in the stimulation of creative thinking, and the resolution of conflict, the building of trust and the improvement of synergies among diverse stakeholders. Mr Vordonis is a member of the Intertanko Executive Committee and two years ago he spoke for the Greek tanker community in the organisation, as Chairman of the Hellenic Forum. He is a founding member and Vice Chairman of the Poseidon Challenge, a campaign initiated during the Intertanko Athens event in 2005. The Challenge sets out to inspire individuals, companies and sectors to instil continuous improvement in their practice and encourage co-operation between links in the chain of responsibility. A wide-ranging education saw him majoring in physics, focusing on the theory and philosophy of science. He continued his post-graduate studies and research in systems analysis, control, cybernetics and complex systems modeling. He participated in cross-disciplinary explorations in the domains of naval architecture, fluid mechanics, thermodynamics, socio-economic simulation and planning. Suzanne Williams is a crisis management advisor in the field of special contingent risks, security and hostage negotiation, including maritime piracy cases. 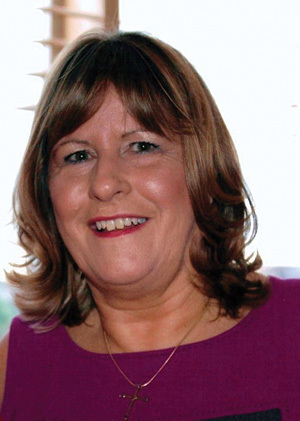 A qualified hostage negotiator since 1991, Ms Williams runs her own company, London-based Sue Williams International, and will be representing Special Contingency Risks (SCR) at the Conference. Serving as a police officer for 32 years before retiring in 2008, her final role saw her heading the Hostage Crisis Unit at New Scotland Yard, London. Ms Williams has previously contributed to covert policing and served on numerous specialist squads. This work saw her involvement in resolving kidnaps, extortions and high profile sieges in London. She is an accredited Senior Investigator and has been part of the Royalty Protection Group working from Buckingham Palace. Her involvement in issues relating to maritime violence began in 1996 when she was requested on behalf of a British Coroner to investigate a suspicious death at sea caused by pirates. Since that date Sue has contributed to various working groups on the legislation and prevention of piracy. She has assisted in the preparation and execution of counter terrorist exercises involving kidnap and hostage negotiation, many of which were of a maritime nature. 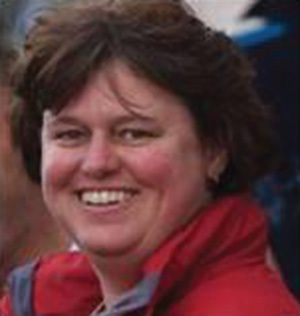 In 2004 Ms Williams was awarded the Queen's Police Medal in recognition of her commitment to her specialist fields, and in 2010 chosen as WISTA-UK Personality of the Year. She has advised many foreign governments on responses to international kidnapping. Her charity work includes acting as a Trustee for Hostage UK, an organisation, that supports families and victims of international hostage taking. Theo Xenakoudis, managing director of the Piraeus office of International Registries Inc. an organisation which frequently supports WISTA activities. Mr Xenakoudis joined the Piraeus office of IRI in 2001 as Business Development Manager after serving in the Greek Navy. He set to work helping promote the Marshall Islands Maritime and Corporate Registries in the Mediterranean region, and in January 2007, was promoted to his current role. Recently, he has been expanding the reach of the Piraeus office to include shipowning communities in Turkey and Italy while maintaining a strong relationship with the Greek shipping community. Theo holds a Bachelor of Science in Transport and Shipping (Insurance and Maritime Law Pathway) and recently received his Master of Laws in Maritime Law from the Business College of Athens, in association with London Metropolitan University. Dr Alkistis Agiorgitis is a leadership development coach, with expertise in the fields of self-confidence and stress reduction. She was born in Athens and grew up in Montreal. In 1985 she studied international finance at the Chartered Institute of Bankers in London, and worked in the corporate division of a major British bank, but found this field unfulfilling. So, with only $1,000 in her purse, she set out on a personal odyssey to discover her true life purpose. This journey began as a solo trek throughout Asia Minor, continuing to Paris, Rome, and then Berlin working at various jobs.After completing the Yoga Teacher’s Training for Stress Reduction, she returned to university as a mature student, and completed a Master’s in Integrative Psychotherapy at the University of Middlesex, and then a Doctorate in Philosophy from the University of Arizona, and Neuro - Linguistic Programming with Richard Bandler and Anthony Robbins. Dr Agiorgitis became a motivational speaker and coach for executives in organisations including Mercedez- Benz, America-on-Line, Bertelsmann, Ernst & Young, Cap Gemini, Banque National de Paris, TUI Hellas, Athens Olympics 2004, Credit Bank, GlaxcoSmithKline, Novartis, Bosch, Bayer, Eurobank, and SonyEricsson. She has empowered the public through “alkistisTV,” which has over 1m viewers worldwide. Her books include You Can Realize Your Dream, The Answers to “All Your Questions are Within”, and “Write Your Life Scenario”. Minerva Revilla Alfonso is Maritime Advisor to the International Association of Independent Tanker Operators (Intertanko) and has held senior positions in the Association’s offices in Oslo (1987-1998), Singapore (1999-2002) and London (2003-2008). 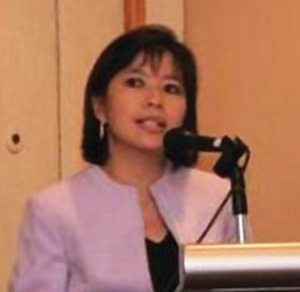 She established and managed the Association’s Asia representative office in Singapore, which opened in March 1999, spearheading the opening of a regional office in Asia and played a crucial part in expanding membership in the region, formulating the regional position on issues in Intertanko’s work programme and establishing closer relationships with maritime authorities and trade bodies. Ms Alfonso completed successfully the Master/Pilot Passage Plan in the Singapore Straits in partnership with the Singapore Maritime Port Authority. Her initiatives included the International Maritime Organization’s Phase I of the Maritime Electronic Highway, Straits of Malacca and Singapore, public-private sector partnership. In London, she became Secretary to the two Intertanko governing bodies, namely the Executive Committee and Council. She represented the association at institutions including the IMO, NATO, UN, and the Regional Cooperation Agreement on Combating Piracy and Armed Robbery against Ships in Asia. She has also been Secretary to the Intertanko IT Committee since 1996 and issue manager for Piracy since 1999. The Committee assisted members on the migration from telex/fax and the benefits of email ship-to-shore and in their offices in the late 1990s, when only 30% of the membership was using email. Ms Alfonso is a Certified Public Accountant, and has a BSc in Commerce, Major in Accounting at the University of Santo Tomas, Manila. She has a BSc in Computer Science (Maritime IT) at the Næringsakademiet Oslo, Norway. Further, she has an MSc in Norwegian Taxation (Shipping) from the Norwegian School of Management Handelshøyskolen BI in Oslo, and in Anatomy of Shipping at the Cambridge Academy of Transport, UK. 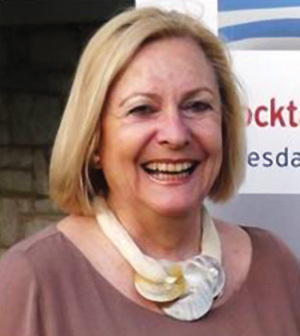 She is concurrently the Asia-Pacific Director of Athens-based Overseas Shipmanagement SA. 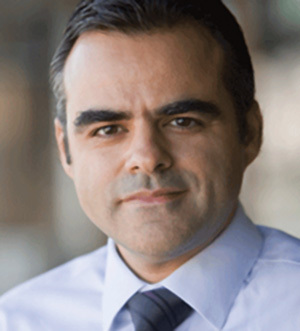 Nikos Analytis is President of the non-profit association Hellenic Network for Corporate Social Responsibility, and leader of the Committee of the United Nations Global Compact Network Hellas. He has fulfilled these responsibilities since 2003. Mr Analytis studied political sciences and law at the University of Athens, and for several years held senior positions including membership of the Board of Directors of Esso Greece (Exxon). He was a Director at the Titan Group of Companies from 1989 until May 2007, President of Ionia SA and member of Titan’s Group Committee for Corporate Social Responsibility. 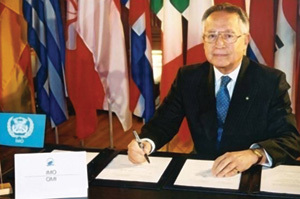 He was Member of the Board of the Federation of Greek Industries since 1980 and Vice-President, responsible for social and labour affairs from May 1988, until May 2004. From 2000–2004 he was Vice-president of the Social Affairs Committee of Union of Industrial and Employers’ Confederations in Brussels and member of the Social Dialogue Committee. 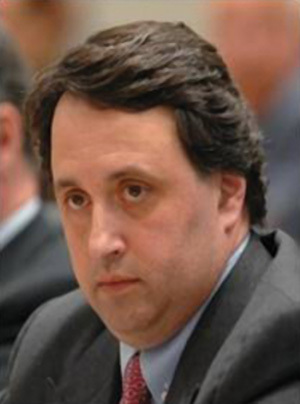 He was elected Chairman of the Economic and Social Council of Greece from 2004 until March 2007. Implementing ILO’s Maritime Labour Convention – Need Assistance? Gabriel Dovles is Founder and Managing Director of Total Quality Consultants, which lays claim to being the premier shipping consultancy firm in Greece with an impressive client list from around the world. The company specialises in services related to ship management operations and has been involved in special projects including the investigation of shipping accidents and casualties, the development of environmental management systems under the USA environmental compliance programmes, the operational merger of fleets, and acting as compliance auditors on behalf of members of the International Association of Classification Societies. More than 1,500 ship visits and audits have been carried out by TQC personnel since the establishment of the company in 1994. The business has developed and implemented systems such as the International Safety Management Code, International Ship and Port Facilities Security Code, ISO 9001, and ISO 14,001, for 279 shipping companies operating more than 3,000 vessels. Mr Dovles was previously quality manager for Stelmar Tankers Management, and earlier, superintendent engineer for Troodos Shipping, Piraeus. His many qualifications include an MBA and Masters in Marine Engineering from the University of Newcastle on Tyne, and Bachelor in Mechanical Engineering from University College, London. Jasamin, the founding Managing Partner at Fichte & Co, is a member of the German Bar and of the English Law Society. She worked as a solicitor in London and Hamburg in premier international law firms, relocating to Dubai in 2002 and joining a Lloyd's brokerage to oversee and handle claims in insurance related disputes. A perceived lack of specialised maritime and trade law legal advisories in the region inspired her to establish Fichte & Co in 2005. The firm was chosen as Best Maritime Law Firm of 2007 in the Seatrade Middle East and Indian Subcontinent Awards. Her work has included acting for a ship owner in the $418m financing of 10 bulk carriers, drafting a counterexpert report in a $20m charter party dispute, and restructuring a company with a $1.5bn fleet and operational assets portfolio. The firm has a dozen-strong team, and an operational representative office in Tehran. Ms Fichte is President of WISTA United Arab Emirates. 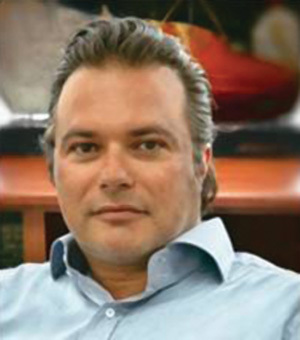 Anthony E Gortzis is head of the Athens-based consultancies One-Team SA, Theme Ltd and Reputation Capital. Born in the Greek capital, Mr Gortzis studied economics and law at the University of Athens. He completed his postgraduate studies in England, concentrating on Business Administration (MBA), Marketing and Econometrics. He also attended a crash course MBA in Harvard University. Hired by the Marketing Department of Unilever, he worked in the company’s London office as marketing specialist for detergents for Europe and North America, becoming Marketing Director for Unilever detergents in Greece. In 1986, he was appointed Marketing Director of Elais-Unilever Foods Division and in 1998 Public affairs, Media and Research Director for all Unilever companies in Greece. 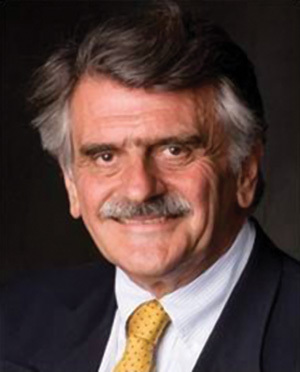 Mr Gortzis has been President of the Greek Institute of Marketing since 1994, and a Board Member of the Greek Advertisers Association, of which he has been President since March 1996. In 2000, he was elected President of the World Federation of Advertisers, and in 2003 General Secretary of the Board of Chambers of Commerce for Piraeus. In 2005 he was elected a Member of the Board of the Mediterranean Chambers of Commerce. In April 2005 he was elected Vice-President of the Hellenic Management Association and since May 2005, the President of the Eben.Gr (Business Ethics Institute). In July 2007 he was elected a Member of the Board of Action-Aid. In February 2008 he was elected President of Social Responsibility for Citizens, and later the same year a Member of the European Business Ethics Network. Nana Kazis is the representative in Greece of the major shipbroking group Barry Rogliano Salles. She is responsible for marketing and promotion of Paris-headquartered BRS group activities and services in the Greek market, making use of her thorough knowledge of the Greek shipping industry and its players. Headquartered in Paris, Barry Rogliano Salles (BRS) was founded in 1856 and is a century and a half later among the top international companies in its field, and managed by some 30 associates, who are all working partners, guaranteeing its independence. Ms Kazis started her career with BRS with the establishment of its Liaison Office in Piraeus. She returned to the group in 2001 after a 13-year break, during which she was involved in commercial and ship finance on behalf of the Italian bank Banco Ambrosiano Veneto (today’s Intesa group) covering Greece, Malta and Cyprus. She is a registered sale and purchase broker with the Hellenic Shipbrokers’ Association. She served as a board member of Societe Generale de Surveillance/Athens for six years, and of RINA, the Italian classification society, for three. Ms Kazis has a BSc in Business Administration from Deree the American College of Greece, and has attended courses at the Seatrade Academy in Cambridge, UK. Anthony Lambros was born in Athens in 1968. He graduated from Athens College and then completed studies in Mechanical Engineering at University College of London (UCL). After his military service in the Hellenic Navy, he started in 1990 as a Technical Superintendent in a family concern, Majestic International Cruises. He has been involved with oil tankers and bulk carriers since 1993, gaining experience in the Technical, Marine and Commercial fields. He joined Centrofin Management in 1996 and is presently serving as Quality & Safety Manager and Director. He is married to Athena Corossi who is also employed in the shipping industry. 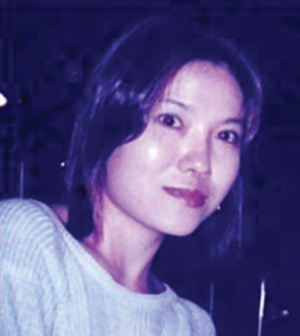 Caroline Lee started her career by introducing commercial ship management and ship broking to several local ship management companies, such as Sea-Pac Ship Management Pte Ltd, ASP Ship Management Pte Ltd, and finally with V.Ships Brokers - Commercial Singapore. Over the years, she trained many aspiring new ship brokers who are now chartering/commercial managers in many Singapore shipping firms before moving on to start her own company, Oceantrans Maritime Pte, with the support of major ship owners and traders worldwide. 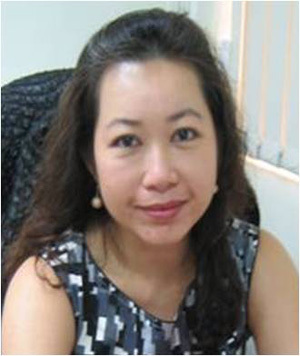 She is Managing Director of Oceantrans Maritime Pte Ltd., which specialises in offering chartering, shipbroking, S&P, commercial management of vessels for trading, logistics consultancy, bunkering (mainly in Singapore), and ship agency services. Christos Makedos, an assessor for the European Foundation for Quality Management, is speaking at the WISTA International Conference representing the EEDE (Hellenic Management Association) and as a Project Manager of Investors in People for Greece. 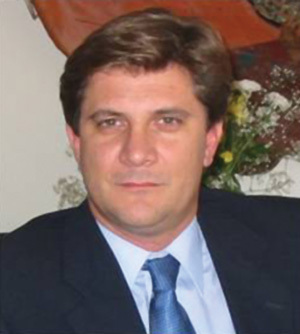 His professional experience has included work as a human resources consultant/ internationalmaster trainer; diagnosis and implementation of management tools; and a position as production and plantmanaging director for the largest enterprise in the ceramics industry in Greece. He has advised several leading businesses in Greece, specialising in top management workshops, leadership development, communications training, change management processes and cultural change processes. Mr Makedos has an MBA from Keele University and MSc in Ceramic Engineering from Staffordshire University in the UK. He has a BSC (Hons) in Mechanical Engineering from Aristotle University, Thessaloniki. Karin Orsel has been working in the shipping industry since the beginning of her career. As an 18-year old, she started in the bookkeeping department of Sandfirden Shipping Company, but with that company ailing, the owner offered her the opportunity to participate in a re-start of the business. Thus, in 1994, at the age of 23, she became a financial manager and minority shareholder at the Management Facilities Group BV (MFG). Her present position, which she has held since 2001, is Chief Executive and majority shareholder. The Management Facilities Group partly owns and manages a fleet of 50 vessels: product oil /chemical tankers and general dry cargo vessels. MFG employs some 1,000 seafarers and 50 office staff. In winning the prestigious Female Entrepreneur of the Year Award last year, she gained further recognition for her achievements. Ms Orsel is President of WISTA Netherlands. Yanna Pavlopoulou is a trained Quality Management EFQM validator/assessor of companies, accredited by the Hellenic Management Association (EEDE) which is EFQM’s National Partner Organisation in Greece. Mrs Pavlopoulou was one of the two representatives of Hellenic Management Association on the seven-member Assessors Judging Panel for the CSR Awards 2010, organised by Hellenic Management Association, CSR Hellas and the Greek Association of Advertisers. She served during the 2009 Environmental Training Programme as regular lecturer on CSR in Shipping for Helmepa (Seatrade Award Winner for Investment in People). Mrs Pavolopulou is a lawyer, member of the Athens Bar Association since 1990, and served for many years as board member and litigator for the Hellenic Star Shipping group before the Greek courts on labour, corporate, tax, contract and property law issues, and in shipping law cases. She is an active member of the Hellenic Management Association, of the Hellenic Women Managers Association, non-executive board member of the Hellenic Institute of Human Resources Management and a member of Propeller Club of the US (Port of Piraeus)and American Hellenic Institute (a policy institute based in Washington, supported by Greeks and the Greek Americans), president of the Georgetown Alumni Club of Greece, and holds the Chair of the Georgetown Admissions Committee for Greece and Cyprus. She holds a Bachelor’s Degree in Law, with high honours, from the Law Faculty of Athens, a Master of Science in Maritime Operations from Liverpool John Moores University and a Master of Law from Georgetown Law School, Washington DC. Jenny Pournara-Vardavilia is an arbitrator, mediator and consultant with great personal knowledge and experience of the Greek and international shipping business. She built up a fleet of 14 ships in the 1970s, in her own company, Bouboulina Shipping, which despite attracting considerable admiration within the industry, was foreclosed by an American bank. She spent many years directing litigation related to the closure, finally reaching an amicable settlement in her favour. 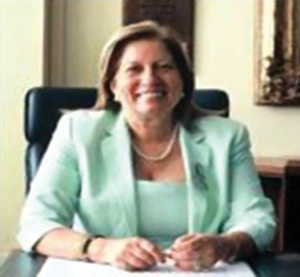 She has put this experience to good use by practising as a consultant, arbitrator and mediator for the industry at large, and is a board member of The Piraeus Association for Maritime Arbitration (PAMA), which sees the potential of Greece as a resolution centre in the context of the promising growth of Piraeus as an international shipping hub. PAMA is working towards becoming a reliable international avenue of choice for alternative dispute resolution procedure, able to produce the best results at lower cost and within a shorter time than other facilities. Her vision for WISTA is to encourage the magnificent, talented, dynamic professional women it attracts to expand the networking opportunities offered, as a means of improving and/or creating business enterprises. Jenny Pournara is Vice-President of WISTA Hellas. 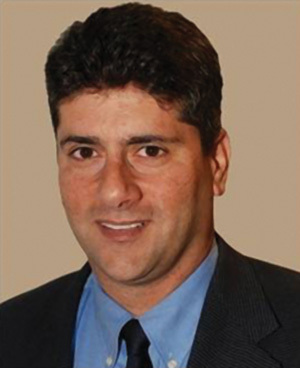 George Xiradakis is Managing Director of XRTC Business Consultants, which he established in 1999. XRTC's main role is to represent foreign banks seeking to develop business in Greek shipping. XRTC, based in Piraeus with an office in Chios, has represented Credit Lyonnais (1999-2004) and Natixis (2005-2008), and is currently dealing with the Chinese banking market. 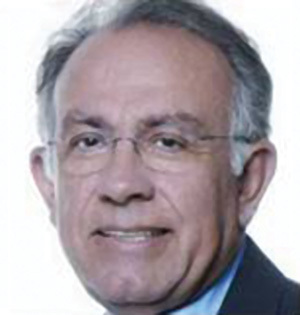 Mr Xiradakis has been Chairman of Hellenic Public Real Estate Corporation (2004-2006), and the first President of the Hellenic Ports Development Centre (2006-2007). 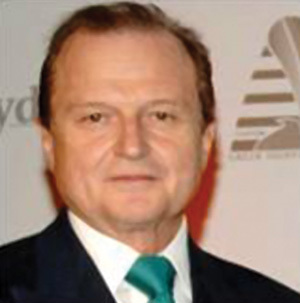 He is a Board Member of two listed companies: Dryships Inc, and Paragon Shipping Inc. He is a director of Ocean Rig ASA. Earlier, in 1995, he was Vice President of Credit Lyonnais Shipping Group responsible for the bank’s European shipping finance activities. In 1997 his shipping role at Credit Lyonnais changed to encompass Greece, the Middle East and India. Mr Xiradakis graduated from the Nautical Marine Academy of Aspropyrgos. He holds a diploma in Commercial Operations from City of London Polytechnic (currently known as London Metropolitan University), and an MSc in Maritime Studies from the University of Wales.